By age 65, one in three people has hearing loss. If you are having trouble hearing, you may wonder if Medicare hearing aid coverage is included with your benefits. 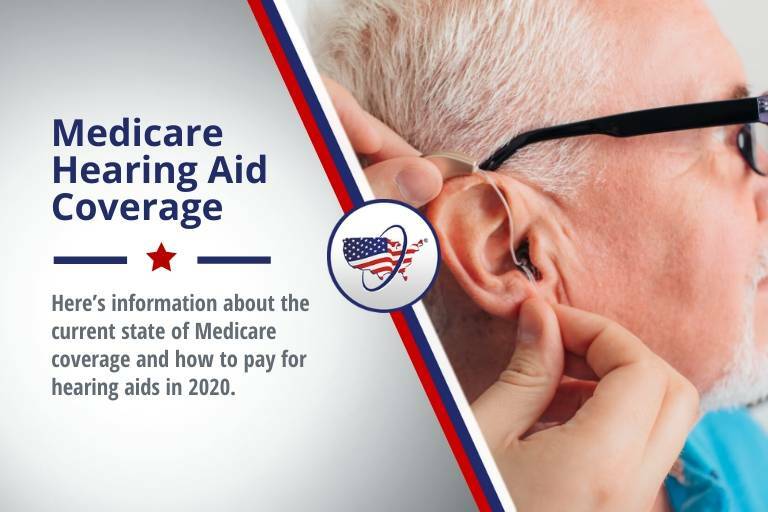 Here’s what you need to know about Medicare coverage for hearing aids and related hearing services. Your medical insurance under Medicare Part B covers diagnostic hearing and balance exams if your health care provider orders them for medical reasons, such as to find out what’s causing a condition like vertigo. You’ll still be responsible for paying Medicare’s 20% coinsurance unless you have a Medicare supplement plan that covers these costs. If your testing is done at the hospital, you will pay a hospital copayment. But that’s only if your doctor orders a hearing exam for medical reasons. Medicare doesn’t cover a routine hearing exam, hearing aids, or exams for fitting hearing aids. This is a problem for many people because hearing aids cost an average of $2,400 each, and often more. The high cost stops many seniors from getting a treatment that could improve their quality of life. Loss of hearing can cause isolation, depression, memory problems and difficulty learning new things. Poor hearing can reduce your overall health and well-being. Medigap, also known as Medicare Supplements, is private insurance that supplements Original Medicare Parts A and B. None of these plans covers hearing aids, but a Medigap plan can help with the cost of a diagnostic hearing test that is covered under Part B. Your Medigap plan will pay the 20% coinsurance for a diagnostic exam. Medicare Advantage, also known as Medicare Part C, is a privately-issued insurance policy. It provides the same benefits as Medicare Parts A and B, and sometimes other benefits as well. A Medicare Advantage plan may include benefits for prescription drug coverage, dental care, vision care, and hearing exams. Some Medicare Advantage plans also pay for hearing aids, but most do not. In August 2017, President Trump signed the Over the Counter (OTC) Hearing Aid Act, also known as the Medicare Hearing Aid Coverage Act of 2017. The act improves access to hearing aids for seniors by allowing certain types of hearing aids to be sold over-the-counter, without a prescription. These hearing aids are designed for people with mild to moderate hearing loss. Before the hearing aids can become widely available, the Food and Drug Administration must write new regulations to ensure the devices are safe. he sponsors of the legislation hope it will spark innovation and competition and lead to lower prices. While you wait for lower-cost hearing aids to become available under the new law, there are a few ways to reduce your out of pocket costs for hearing-related services. If you enroll in a Medigap plan and your doctor orders diagnostic hearing tests, your Medigap policy will pay the 20 percent coinsurance that Part B doesn’t pay. To get even more expansive coverage, you can add dental, vision and hearing plans to your Original Medicare and/or Medigap plan. These plans can cost as little as $31 a month and can cover routine hearing tests and sometimes hearing aids. Typically, you can get treatment at any hearing aid centers that accept Medicare. You can’t be turned down for coverage because of your age or pre-existing health conditions. At MedicareFAQ, we know how important your hearing is. We will work with you to find a hearing plan that covers the hearing services you need most, as well as a comprehensive Medigap plan to pick up where Original Medicare leaves off. You can compare Medicare rates online here. Why am I not being reimbursed for hearing aids from the Cleveland Clinic. They accepted Anthem and the handbook states reimbursement up to $3,000.00. I sent all the information to Anthem and I’m not getting a direct answer. Hi Rita! Medicare does not normally cover hearing aids, therefore Medigap plans don’t either. However, some Medicare Advantage plans do, but not all. Advantage plans have a lot of restrictions on these benefits. If you purchased your Anthem plan through us, you can contact our Client Care Team and they will help you with the claim. If you didn’t purchase the plan through us, you’ll have to wait for an answer from Anthem directly. On April 6, 2018 I received 2 hearing aids from The Hearing Ctr in Kankakee, IL because I am a surviving spouse of a Ford Retiree. In addition to the price Ford pays I had to pay $1300 and I was wondering why Aetena did not pay some of the bill as that isnow our other insurance besides Medicare. I have just a small pension from Ford and that was a lot of money for me to put on a credit card. Hi Juanita! If you have a Medigap plan through Aetna, it will cover the remaining 20% of the cost of Medicare approved services after Medicare pays their 80%. Hearing Aids are not covered by Medicare, so your Aetna Medigap Plan wouldn’t pick up any of your out of pocket hearing aid costs. You would want to look into a dental, vision and hearing plan to add onto your current Medicare & Medigap coverage. These plans can cover routine hearing tests and sometimes hearing aids. Give us a call for more information! 800-845-2484.